The event is a fundraiser for breast cancer, benefitting the Colorado affiliate of the Susan G. Komen foundation. The snowshoe series first began in Frisco, and Tubbs marketing coordinator, Kelsey Boyce, says the event has raised the most money of the whole series. “The Colorado event alone has raised over one million dollars for the local Susan G. Komen affiliate,” shared Boyce. This year, about 1,700 participants came out to the Romp, raising over $67,000. This was the fourth year Accola and her family came up for Frisco’s Romp to Stomp, participating in the 3k walk. Her pink lipstick, pink glasses, pink bandana and pink tutu didn’t even need to be covered by warm layers this year. The chilly morning warmed up fast, and the day greeted all the participants with sunshine, moderate temperatures and blue skies. Boyce also noted last year’s blizzard conditions. “Last year, it snowed 10 inches just during the event, and so this year is just a wonderful surprise,” she said of Saturday’s sunshine. Two-time breast cancer survivor Laine Connolly came from Ft. Collins to walk the 5k course with her mother, sister-in-law and friend. Like so many of the snowshoers on Saturday, Connolly wore her special “survivor” bib number with pride. Connonlly is a snowshoer, and she wore a brand new pair for Saturday’s event. For anyone who did not bring their own snowshoes, Tubbs had a fleet of 500 pairs available to borrow. A much smaller number of participants in the 3k timed snowshoe running race, and prizes were gives to the top male, female, master and survivor in the race. They were also awarded K2 inline skates. Swag bags, sponsor booths and live music created a tight-knit area, perfect for the free pre-race pancake breakfast and hours of post-race camaraderie. Kim Fuller is a freelance writer and avid snowshoer in Vail, Colorado. 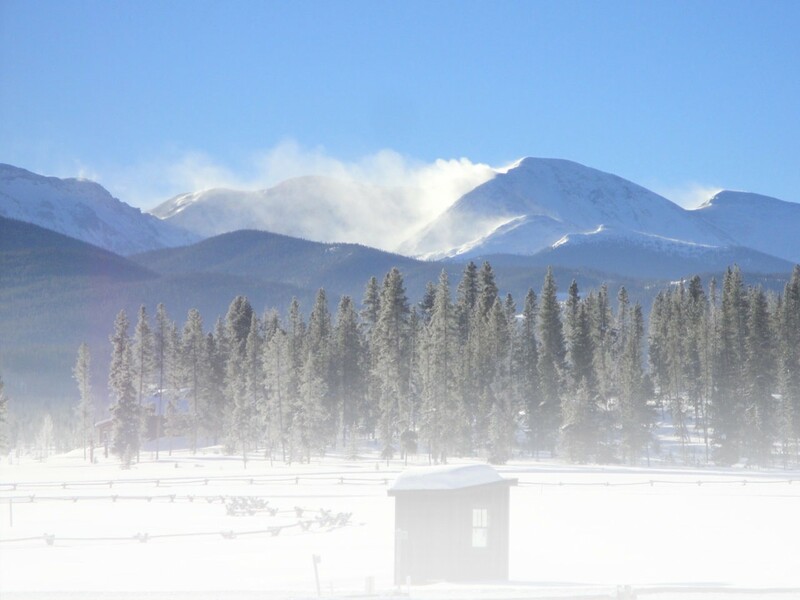 This entry was posted in Events, Homepage Featured, News, Racing, Snowshoe Racing, Winter Sports and tagged colorado, Snow, Snowshoe, Snowshoe racing, Snowshoeing, Snowshoes, snowsports, Tubbs, USSSA, Winter, wintersports by Kim Fuller. Bookmark the permalink.